Robotic Process Automation is changing the world by providing automation solutions to every industry. It helps every sector like banking, healthcare, insurance, BPO, energy, and telecommunications. It offers various benefits which help companies to optimize their working style and achieve tasks which need more focus and skills. 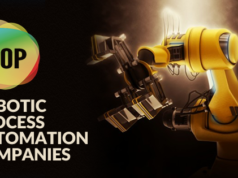 While implementing Robotic Automation Solutions with the new technologies, there are few challenges which every company faces and needs to check while deploying these solutions. 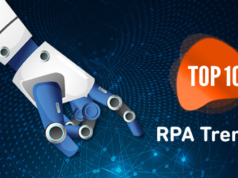 In this article, we will be focused to know about the top RPA challenges and the methods to overcome those challenges. We believe there are no challenges which don’t have any solutions and vice versa. Here we compile a list of top RPA challenges along with the solutions in this article. But before deploying Robotic automation solutions, you must consider the RPA challenges first. So, go through the RPA challenges or difficulties that can be in your way while implementing RPA. Employee resistance and onboarding are defined as the changes which are implemented to the new technology. The changes can be traumatic as it involves responsibilities which can affect an employee’s daily schedule as well. It also demands new skills, frequent communication, and the implementation process. It comes under the very frequent and known RPA challenges. Robotic Process Automation involves high volume, rule-based and repetitive tasks. The best result for these tasks is data entry and migration tasks. If deploying Robotic Process Automation solutions requires attended robots, then there are few complexities which occur every time and needs to be checked. Deployment and implementation of Robotic Process Automation are the toughest tasks in the latest technology and one of the most occurred RPA challenges as well. It affects the whole level of processes. All the processes go through different functionalities like individual and company hierarchy. It also depends upon different companies on different levels. Robotic process automation involves a lot of responsibilities. There must be a concerned person for every process which is being implemented to the processes. Suppose if you are implementing robotic process automation solutions to your organization, then it is a big obstacle that you will experience the mismanagement of responsibilities. So before deploying robotic process automation solutions, You must consider this fact for sure..
A team is which makes a process successful. If you have a team that does not have the required skills to implement robotic process automation. It is the biggest issue while considering robotic process automation. It’s a fact that robotic process automation is expensive to deploy. To implement robotic automation solutions, you should consider the economic effect. As it requires skills with great efforts, it also requires dedicated training to achieve automation processes. So implementing robotic process automation can be desirable, not economical. The phase when the implementation has done and all the processes have successfully been deployed explores few RPA challenges or difficulties. One of such challenges is Maintenance. During running and efficiency processes, RPA solutions require some maintenance. Technically, if you are doing rule-based or repetitive tasks, then it is mandatory to maintain the output. If you are not initiating the maintenance protocols, you will find it difficult for sure. It is one of the top challenges of RPA implementation. Most of the companies choose the wrong solution. Because they don’t have the guidance and skills to judge which is the best solution for them. Also if you are dealing with robotic processes automation solutions, you must have knowledge of all the processes. It will eventually be helpful for your organization. While choosing the correct RPA vendor, implementation is the most common aspect which lacks everywhere. Sometimes it also involves the cost because most enterprises choose the wrong RPA as it doesn’t suit them. In the modern era, one of the top challenges of RPA implementation is if you choose RPA solutions, then you must have the infrastructure to implement and deploy it to the desired location. For the implementation of the RPA solution, every organization should have a team which will be responsible for all the processes and looks out for these type of RPA challenges. If you have implemented robotic process automation solutions to your company, then it is compulsory to consider the challenges which come after implementation. After implementing robotic process automation solutions, the difficulty which is the most seen is that many companies can’t consider the pushbacks. Also, RPA will only give you benefits when you have a local team with required skills and strong leadership. Ownership refers to the individual or company which has Robotic Process Automation solutions. The main difficulty is many enterprises don’t consider the requirements, skills, and designs. Ownership also consists of all the responsibilities, for example, decision-making process needs to be more clear and sharp, every team must have a leader which has the required knowledge to understand all the processes etc. There are documents which require partial automation. So, it is not reasonable to put cost and time to partial automation. Also if it involves images, audio, and video data then you must choose full automation solutions. Robotic Process Automation does not give a long term solution. It gives benefits which are immediate and optimized. It is one of the most occurred RPA challenges. All the companies want a long term solution as they look for growth but Robotic Process Automation solutions are not long term solutions. They require a few important things like infrastructure, skill, ownership, maintenance etc. Robotic Process Automation is one of the interesting technology for the new generation. There are few RPA challenges which require special programs and these special programs give an exact output which is practically impossible for human workers. Also, it requires a dedicated team with a strong leader. It supports the implementation of all the processes and solutions both. While implementing these processes and solutions, there is one difficulty which regularly occurs is process analysis issue. It means you and your team must have a clear point of view about implementation. Also, they don’t have a clear concept, then it’s head to get the desired output and growth from the robotic process automation solutions. If you are a business official and looking for a successful implementation of RPA solutions then it is difficult to get them as all the RPA solutions look for approval and it requires all the department’s lead officials whether they are investors, IT officers, Accounting professionals etc. Customization is the most important aspect in today businesses. Every enterprise requires solutions to be customized as per their choice or criteria. But in the case of Robotic Process Automation, it is not easy to implement customization. Robotic Process Automation is a skill which requires unique identity, latest technology etc. So it’s hard to get all for every enterprise at the same moment. Also, it will be costlier than it’s actual cost. How to Overcome RPA Challenges? After reading all the RPA challenges, one must know how to overcome RPA challenges as well. We have also drafted the solutions so that you can read the obstacles and solutions both at the same place. RPA implementation takes proper planning. It has some competitive benefits as well. For example, if you give full power to RPA, then you will have an added advantage for sure. There is no point taking a pushback or setting up a new process and infrastructure. 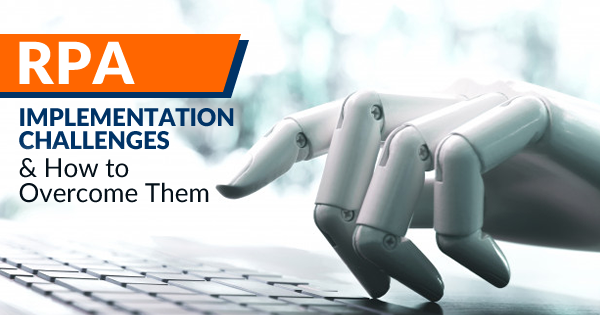 Also, we would like to state that despite the above-mentioned challenges and difficulties, RPA implementation is the easiest tasks in the latest technology. The deployment of robotic process automation is also very easy. The companies are still choosing RPA solutions because they know how to overcome RPA challenges easily. They consider employees resistance and onboarding, their fear, infrastructure issues, business activities, organizational restructuring, latest applications etc. As per a report by PWC, RPA is one of the favorite technology of the enterprise in this generation. They are rapidly choosing RPA solutions despite being aware of their hurdles. They know it will provide a huge growth in their businesses and also help their employees to achieve more in their futures. Also, it will help them in organizing their future with RPA solutions. Also, companies are now choosing the right processes for their businesses as well to secure their future and to save their money as well. This is now helping businesses in their daily activities as they are understanding the use of attended and unattended robots as well. They know robotic process automation solutions will not grab their opportunities. Robotic Process Automation along with Artificial Intelligence and Machine Learning is rapidly gaining popularity day by day. You must check the future scope of RPA as it will create a lot of opportunities in the future for sure. We have listed all the direct and indirect RPA challenges in this article that you must be aware of. As a solution to the above RPA challenges, avoid and get ready to deal with these challenges and that’s all. To deal with the top RPA challenges, the companies look for the experienced and certified RPA professionals. 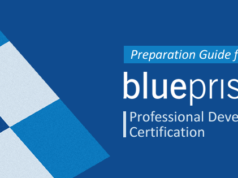 If you are in RPA Blue Prism, validate your skills now with Whizlabs Blue Prism practice test series for Blue Prism Developer and Blue Prism Professional Developer certification. Join us now to hava a bright career in Robotic Process Automation industry!